If they’re serious about improve patient outcomes beyond traditional standard of care, physicians ought to view treating people with cancer as a game, a study published today concluded. Researchers from Moffitt Cancer Center and Maastricht University wrote that treating physicians can benefit from applying game theory, specifically by pinpointing potential flaws in current cancer treatment approaches, and developing new strategies to improve outcomes in patients with metastatic cancer. Oncologists stand a better chance against cancer by developing flexible strategic treatment plans rather than relying on standard of care, the researchers concluded in “Optimizing Cancer Treatment Using Game Theory,” a review article published today in JAMA Oncology. Instead of administering one or more drugs continuously at maximum-tolerated dose (MTD) until the tumor progresses, the study recommended that physicians should instead exploit their knowledge of cancer's evolutionary dynamics by continuously adjusting their treatments and doses to delay or prevent cancer progression caused by the evolution of resistance. “Physicians can exploit the advantages inherent in the asymmetries of the cancer treatment game, and likely improve outcomes, by adopting more dynamic treatment protocols that integrate eco-evolutionary dynamics and modulate therapy accordingly,” Robert A. Gatenby, M.D., of Moffitt Cancer Center, and colleagues, concluded. Dr. Gatenby and colleagues used mathematical modeling to demonstrate that the physician has two key advantages over the tumor they are treating: The physician can anticipate the tumor cells' response since he or she is rational, unlike the cancer cells. Another advantage is “playing” first: The physician administers therapy, followed by the cancer cells starting to evolve resistance—a “leader-follower” or Stackelberg game, named for mid-20th Century German mathematician Heinrich Freiherr Von Stackelberg (1905-1946), whose research focused on game dynamics. He and other game theorists have shown that the leader in a Stackelberg gains a substantial advantage by using the first move to limit subsequent tumor responses. Additionally, the leader can use foreknowledge of the cancer to anticipate and steer its evolution and vulnerabilities. The researchers recommended that treating physicians begin by precisely defining the goal of treatment. Is to cure the patient or is it to prolong life? This allows the physician to better balance the benefit of therapy against the potential toxicity and its effects on the patient's quality of life. Physicians should also develop strategies to deal with cancer cells that are resistant to therapy, the study authors added. If the goal is to cure, then resistant cells must be killed or prevented. If the goal is control, then physicians can use evolutionary principles to minimize the proliferation of resistant cells while limiting the toxicity of treatment. Finally, the physician should continuously analyze the intratumoral evolutionary dynamics based on the tumor response during each treatment cycle—data that is often gleaned through a mathematical model—in order to improve the outcomes in subsequent cycles, an approach known as Bellman's Principle. 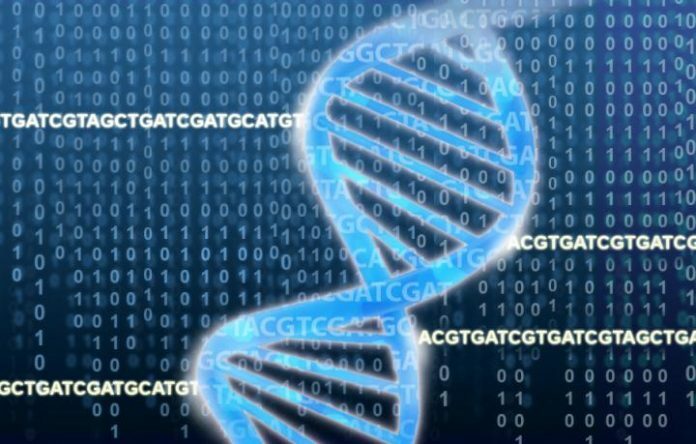 The researchers also suggested precision medicine approaches to treating metastatic cancers that not only identify treatment targets, but deal with the evolution of resistance. To that end, physicians should design a Resistance Management Plan (RMP) for each patient, and analyze outcomes of every patient, along the lines of After Action Reports (AAR) generated by military and disaster response units. “As we develop the mathematics in conjunction with cancer therapies, we expect that our analyses will uncover novel game-theoretic, evolutionary strategies that may increase the probability of curing even aggressive and heterogeneous cancers,” added Katerina Stankova, Ph.D., a co-author of the study and a mathematician at Maastricht University focused on game theory.